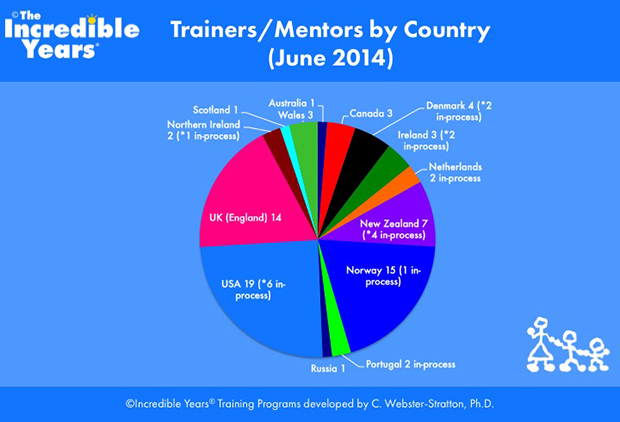 Each year for our annual Mentor Meeting, we create a report showing information on Incredible Years® implementation around the world. 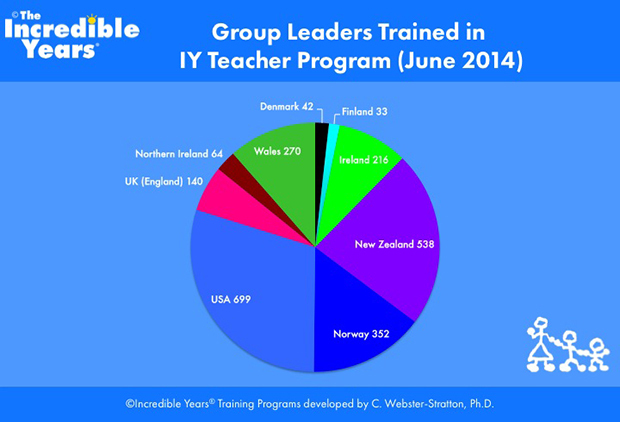 This includes information about group leaders who have been trained by country, number of certified leaders by country and by program type, and more. 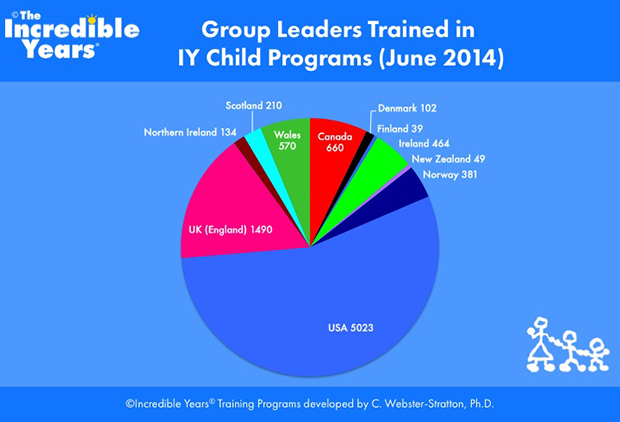 It’s exciting to see these numbers grow each year, and we look forward to sharing this data! 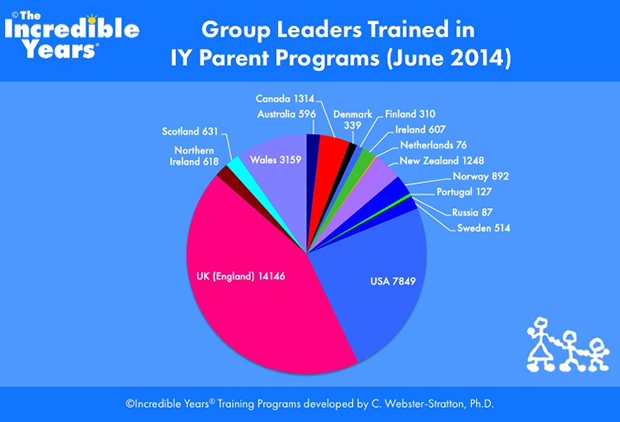 You can see last year’s blog post about the 2013 data by clicking here. Group Leaders who go through our Certification Process undergo review and receive extensive feedback. 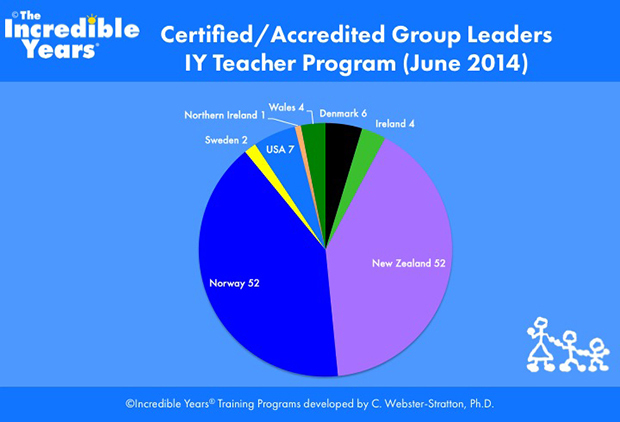 Certification can be used as a fidelity check, to ensure group leaders are implementing the program as it has been designed and researched. It can also be used to progress through our certification “steps” for those interested in higher levels of sustainability within their agency. You can learn more about certification and the process by clicking here. 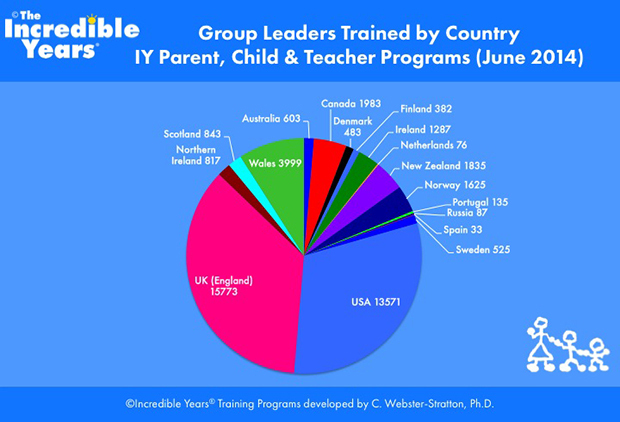 Take a look through the pie charts below to see statistics about where in the world people are being trained and becoming certified! Categories: Uncategorized | Tags: Certification, Incredible Years, IY Group Leaders, IY Mentors, IY Peer Coaches, IY Trainers | Permalink.